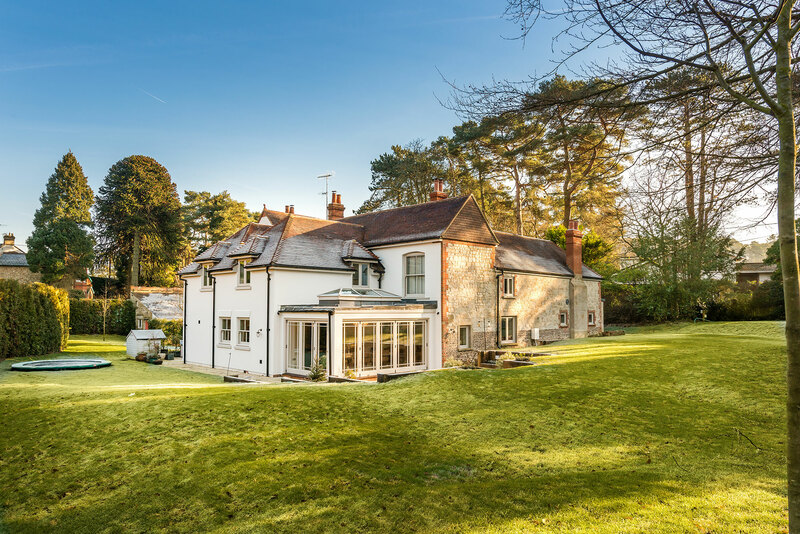 Nestled in the Bourne valley, just south of Farnham, Heron Court is a generous four-bedroom family home set within extensive grounds. 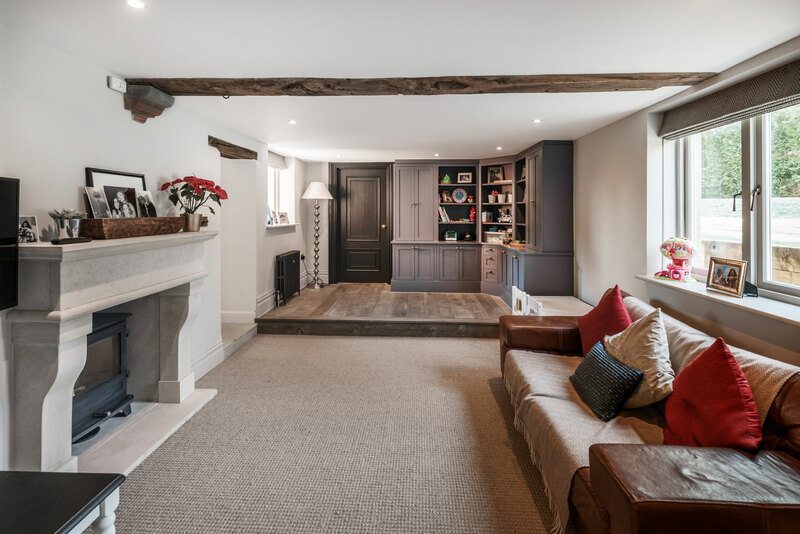 A diverse melange of red brick, clunch, render and stone, the house dates back around 450 years, with numerous additions, alterations and adaptations being made over the intervening centuries. As well as its mid-17th century core, the west wing is an 18th century Georgian hop barn (malthouse), complete with rustic beams, while to the east, a 19th century Victorian extension houses an elegant formal drawing room. The sheer number of surviving elements (e.g. an 18th century front door, 17th century ceiling beams, Georgian panelling in two rooms, an early to mid- 19th century dogleg winder staircase, an original bread oven and partly exposed roof structure) guaranteed Heron Court’s architectural significance, leading to the house being Grade II listed. In fact, Heron Court is one of the oldest properties in the Bourne area, and is important as a reminder of the local hop growing industry. Surrounded by terraced lawns and enclosed by new hedges and mature trees, all set behind a listed boundary wall, Heron Court is located on the corner of two leafy lanes on the outskirts of The Bourne. 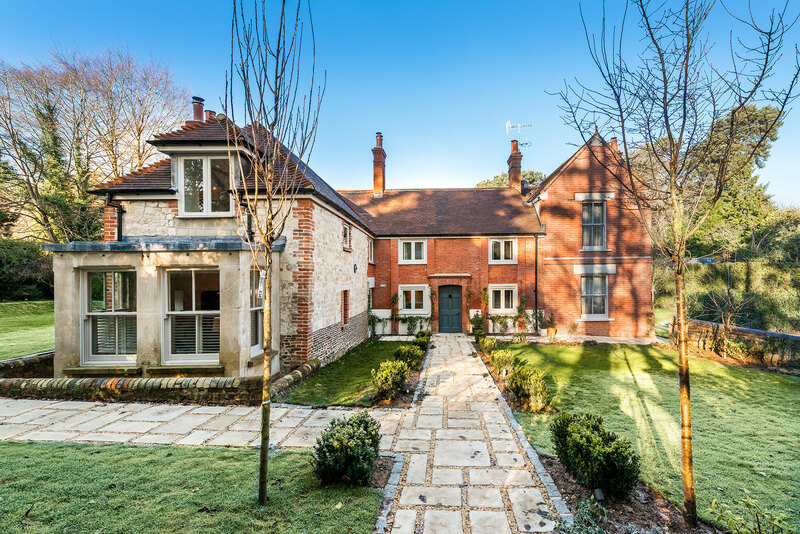 Although just a few miles from Farnham, The Bourne has its own unique identity and a semi-rural feel. The incredible network of registered footpaths and narrow lanes are a marvellous legacy of its humble origins, while the churches, public houses and various other local amenities offer a real sense of community. At the heart of the village is the green, which is home to tennis courts, play area, cricket in the summer and football in the winter, while The Bourne Show is an annual event that celebrates the local area.